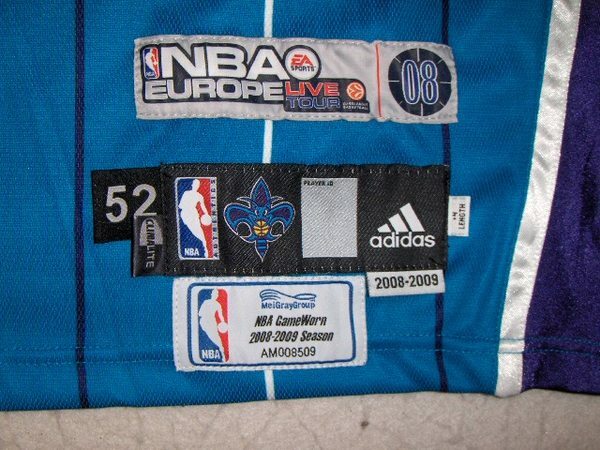 a jersey worn in an NBA Europe Live Tour '08 game. 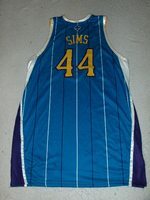 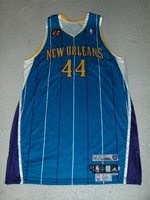 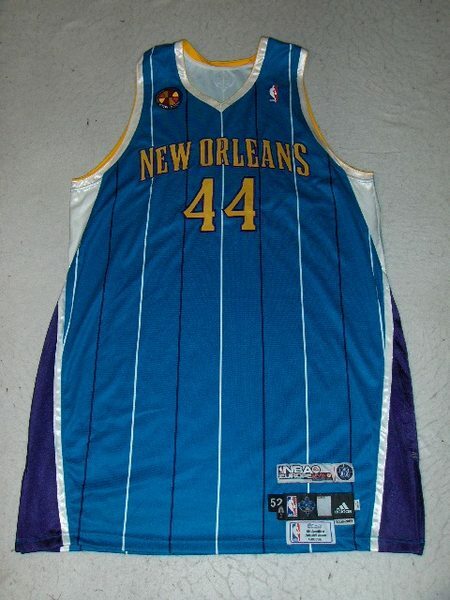 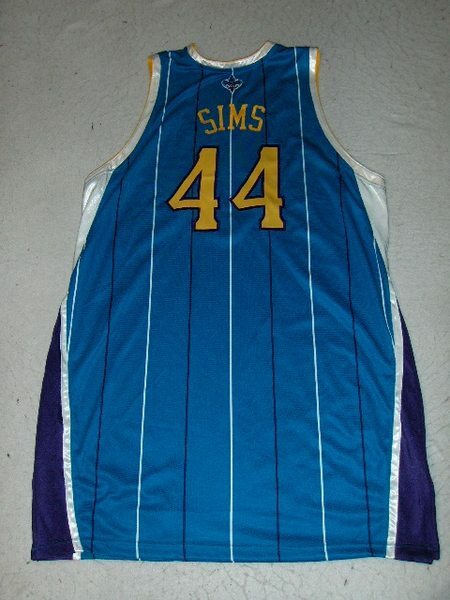 This jersey was worn during the Hornets' 102-80 victory over the Washington Wizards on October 17, 2008 at Palau Sant Jori in Barcelona, Spain. 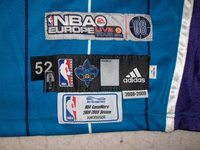 A unique "NBA Europe Live Tour 2008" patch designed for this game is affixed over the right breast.